In this post, we focus on the first initiative: conducting a PNA. A PNA that uses the right methodology will help a hospital understand how many and what types of physicians to recruit to most effectively serve their community. Below, we outline the steps of Stratasan’s PNA methodology. The first step in conducting a PNA is to identify your Stark service area. A Stark service area is the smallest number of contiguous ZIP codes from which the hospital draws 75% of its inpatient volume. By law, a hospital is required to follow the Physician Self-Referral Act (commonly referred to as the “Stark Law”) for physician recruitment. Failure to follow the Stark law could result in penalties, costing the hospital or provider millions of dollars. This step is the most time-consuming part of the process; however, the benefits of having an accurate supply list are worth the extra effort. 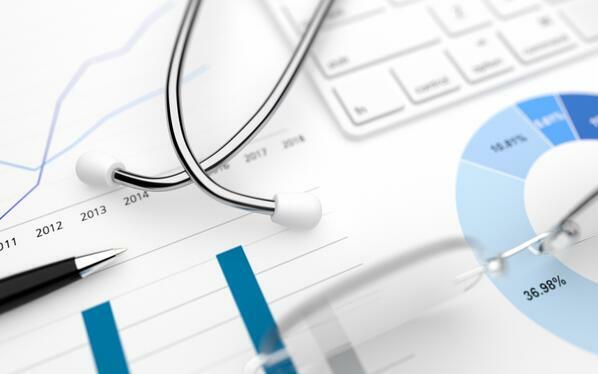 Often called “detective work,” the process of pulling together provider supply lists requires investigation and research to find out where physicians practice, if they’ve left their market, or if they are even still practicing medicine. Some resources available to retrieve this data include the National Plan and Provider Enumeration System (NPPES) and CMS’s Base Provider Enrollment File. The best approach is to conduct online research and make telephone calls to provider practices. Once the list is complete, it’s likely to already be outdated, as providers are always moving around. Be sure to review this list on a bi-annual basis to avoid starting from scratch in the future. Stratasan’s PNA analyzes both the current demand and a five year projected demand. There are likely to be quite a few physicians in your market who will retire in the next few years. The physician’s birth date (provided by the hospital) or medical school graduation date (Physician Compare file) is used in the retirement analysis. Based on age or years practicing, selected by the hospital, Stratasan retires physicians out of the future year demand model. Many hospitals choose to retire physicians at 67+ years old or 40+ years practicing. Once your PNA is complete, what’s next? Conducting a PNA is just the beginning and therefore should be followed up with a more extensive qualitative assessment. When reviewing the results of your PNA, it’s important to align your recruitment efforts with your strategic plan. The numbers may say your market needs more dermatology physicians, but if your hospital isn’t looking to grow that service line, that’s a deficit you could look past. To add to your qualitative research, surveying your physicians will identify needs from their perspective, including issues surrounding scheduling, access, and referrals. Involving your physicians will also help you receive buy-in and support from them. Every hospital needs a focused strategy for growth and change, but not every organization is equipped with resources to tackle this process on their own. Stratasan’s PNA outlines the inventory of providers (both physicians and advanced practice providers in a market), calculates a demographically adjusted demand model based on a weighted average of several models, and adjusts for potential provider retirements. We provide the data, insights, and strategic growth expertise that can empower your team to evaluate your market with a new perspective. For more information on how Stratasan can help improve your physician and provider recruitment strategy, contact Sean Conway and schedule a discovery call today.